eet Julie and June, a couple of St. Louis stay-at-home moms who realized that with teenage children they had more time for big projects and exciting hobbies. They could do…anything! So they wrote a book. 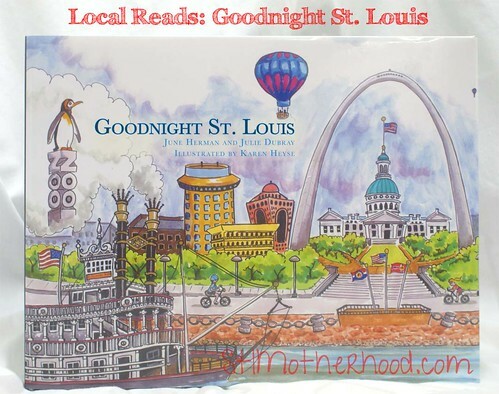 Julie Dubray and June Herman wrote Goodnight St. Louis, a children’s book somewhat inspired by Goodnight Moon…but without the OCD rabbit. 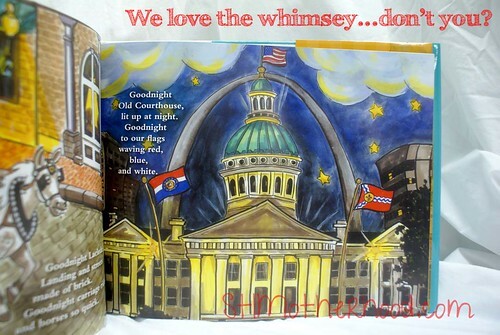 Each page of their book wishes goodnight to a different St. Louis landmark, from the Arch to Crown Candy Kitchen. The rhymes are set against the whimsical paintings of local artist Karen Heyse. Julie grew up in St. Louis and June made it her home shortly after college. They became friends while volunteering at their children’s school and realized they both had something in common. They love St. Louis. No really. They love this town so much that they want the rest of the world to sit up and take notice. I got a chance to chat with the pair over smoothies at St. Louis Bread Company this week and see just what it takes to write a children’s book about your hometown. “St. Louis has so much to offer, it’s unbelievable! And everything is so close,” June said. She told me that after vacationing on the East Coast she noticed how far families in other cities have to drive to find fun things to do. But not here! Julie had a similar experience on the West Coast. The moms also pointed out how visitors are amazed when they discover that Forest Park is bigger than New York’s Central Park, or that so many attractions here are free. Julie and June told me that they had never written anything before tackling Goodnight St. Louis. They knew their book would do well because there was nothing like it on store shelves. After doing some research they decided to self-publish the book and do their own promoting. They sold more than 1500 copies in the book’s first couple weeks in stores. The moms decided to only publish the book as a gift quality hardback. They said the book is not only popular with children, but it strikes a cord with tourists and locals who think it’s a cute coffee table book. Goodnight St. Louis is sold in gift shops and local businesses around the city and on their website. “We want to keep it local–it celebrates St. Louis,” said June. They are constantly adding retailers as the book catches on. Many businesses are ordering a case of the book, then having to ask for another in just a few days as it flies off the shelves. 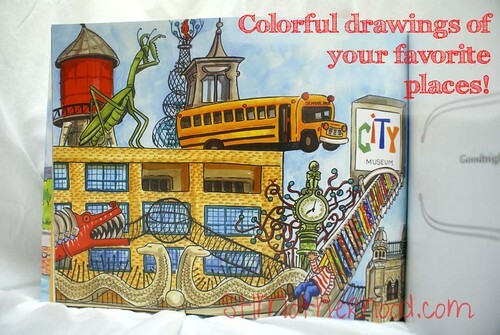 The book covers all the big kid-friendly attractions in the city limits and few out in the county. June and Julie knew they couldn’t include every single awesome thing about St. Louis, but they couldn’t leave out places like the Butterfly House (which gets a nod with it’s sister attraction, The Missouri Botanical Garden) or the Magic House (which is worthy of its own page). 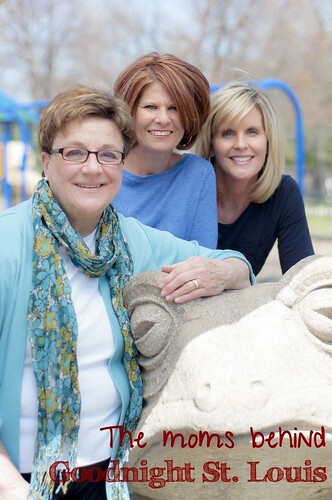 The St. Louis Zoo and the Magic House are the top attractions Julie and June would recommend to moms of younger children. June said that even as teenagers her kids still like strolling the zoo, though Shakespeare in the Park is more interesting to them now. Julie said her teens love City Museum, an attraction so massive it was difficult to capture on just one page.